Loosely based upon the story by Hans Christian Andersen. Ariel, youngest daughter of King Triton, is dissatisfied with life in the sea. She longs to be with the humans above the surface, and is often caught in arguments with her father over those “barbaric fish-eaters”. She goes to meet Ursula, the Sea Witch, to strike a deal, but Ursula has bigger plans for this mermaid and her father. Updated on September 1 2013 with brand new 1080p BluRay caps! 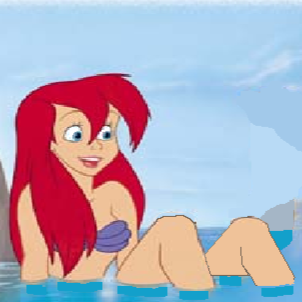 I have used your photos for making “The Spoiled Mermaid by Ursula”. It is the other side story of The Little Mermaid. You can watch in on youtube in Kongmusical Channel. Thank you very much. My deviantArt account is @FrozenHeartWarrior if you’d like to see the numerous stamps I’d made with the screencaps. Thank you so much for posting them in the gallery!